Frosty the snowman, lalalalalalala… How I adore snowmen, partly because we only see snow on rare occasions here in South Africa(and can’t build real snowmen), but more because they are just so cute! Especially a friendly fella like this counting snowman! I found these awesome compartment trays in a local plastic shop and we’ve been doing a lot of Christmas tray activities with it. Today we are counting AND working those fine motor skills with this fun setup! 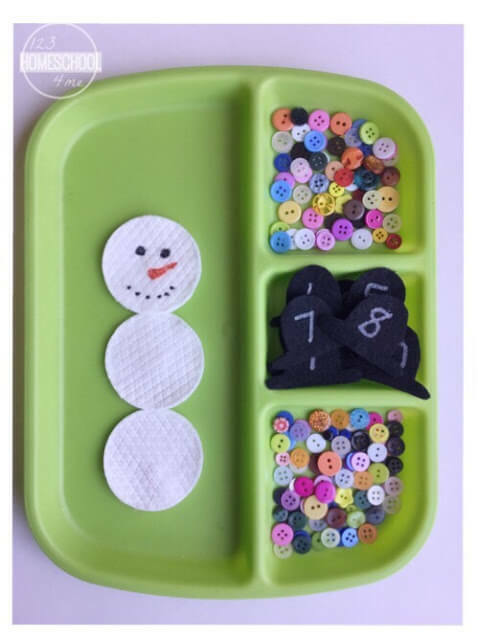 Simply add the cotton wool to the tray in the shape of a snowman. Draw the face using the markers. Cut some hats(I cut 10) from the felt and number them(I used a Tipex pen for this). Ready to play and learn? Picking up the buttons work on fine motor skills. Placing the buttons onto the right spot works on hand eye coordination. 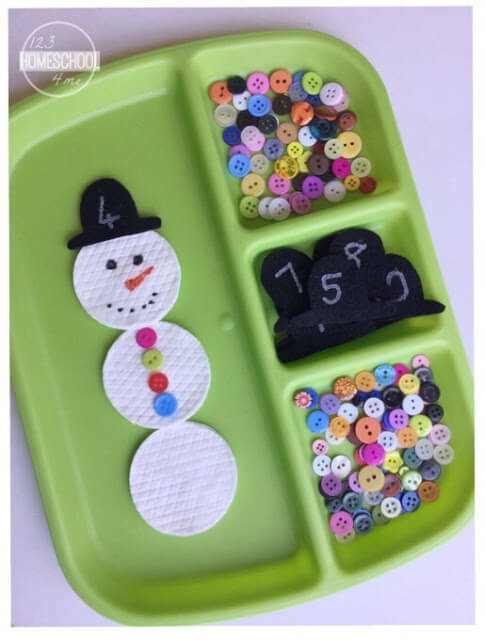 Your child will need to be able to recognize numbers and count it out for this activity. For younger children, only work with number 1-3 or use dots rather than the written number. Increase the number of hats(and numbers) as your child develops. 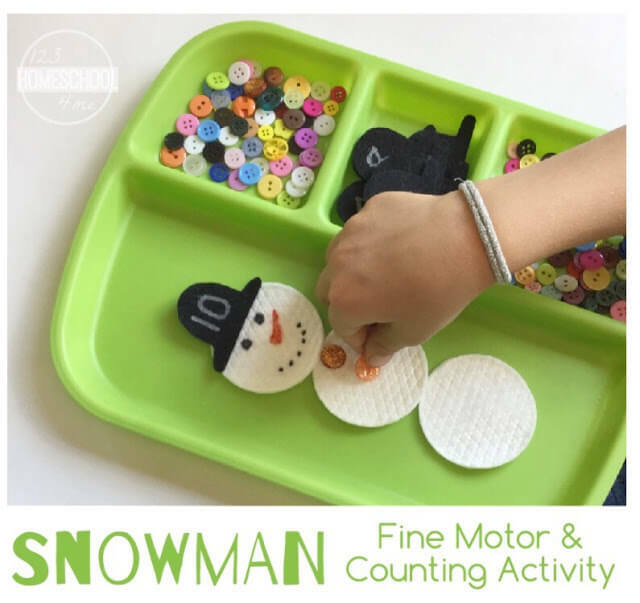 Let your child choose a hat(or, you could add a dice to the game and roll it to determine what number hat to take), count out how many buttons you need according to the number on the hat, and add it to the snowman. After your older child added lots of buttons, you can reverse the game and take away the next hat you choose. Working on subtraction too. Extend the activity more by only adding blue buttons, then red buttons etc. This way, you work on visual discrimination skills(sorting) too! 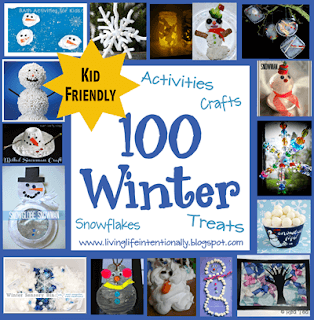 A fun, educational activity for you preschooler or kindergartner! Frosty the Snowman, lalalalalalala….